Some of the best plans have already been laid out, and strong preparations are already underway so space agencies can start sending humans to the Red Planet. NASA, for one, has reached significant milestones for the past 40 years when it comes to its exploration of the planet. The space agency has successfully sent probes and landers that covered the initial phase of knowing more about Earth’s neighbor. Now, as more space agencies are trying to determine where or how humans could live on Mars, there’s also the question of how astronauts could start their Martian journey. Elon Musk’s company SpaceX, for example, plans to start bringing cargo to Mars by 2022 using the soon-to-be-developed Starship spacecraft and Super Heavy Rocket. The space systems are meant to be reusable, meaning they can be used to transport both cargo and humans to and from the Red Planet multiple times. Now ideally, it would take seven months for humans to reach planet Mars. This means that astronauts would need a lot of resources in terms of food and supplies just to reach the Red Planet, which could be a burden for space agencies in the long run. But according to the private group SpaceWorks Enterprises, there’s one possible solution for this: cryosleep. In an interview with Yahoo Finance, SpaceWorks President & COO John Bradford discussed the possibility of putting astronauts under therapeutic hibernation or cryosleep to help them travel from Earth to Mars. SpaceWorks is an advanced aerospace engineering group based in Atlanta, Georgia. According to Bradford, putting astronauts under cryosleep would somehow be the same as putting patients in an induced coma, lowering core body temperatures from the normal 37.5 degrees Celcius to around 32 degrees. The suggestions were part of the proposal which Bradford sent to NASA, focusing more on the human state of going to another planet more than the technology or spacecraft that could bring them outside of Earth’s atmosphere. The company has won two grants so far from the American space agency for their works. The cryosleep solution is the same treatment given to patients suffering from traumatic brain injury, stroke patients or cardiac arrest. The effects often last only three to five days but Bradford said that it can be applied for longer periods of time and be used for deep space missions such as a journey to Mars. The advantage of putting astronauts on therapeutic hypothermia is that it can lower metabolic activity by as much as 50 to 70 percent. This means that astronauts get to save as much energy as they can during their journey. On average, a space fleet of around four to five astronauts would need about 10 tons of food to survive the journey to Mars. If astronauts are placed under cryosleep, the need for food supplies can dramatically be reduced to only three tons. NASA, however, was concerned about how to address emergency situations if the whole crew is asleep during the journey. The SpaceWorks CEO suggested that there should always be a shifting caretaker who is awake while the rest of the crew are under therapeutic hypothermia. As for nutrition and dehydration, the CEO suggested a process which would make use of a peg tube that directly injects liquid food into the stomach. This way astronauts won’t have a hard time switching from liquid to a solid diet during the Martian space mission. 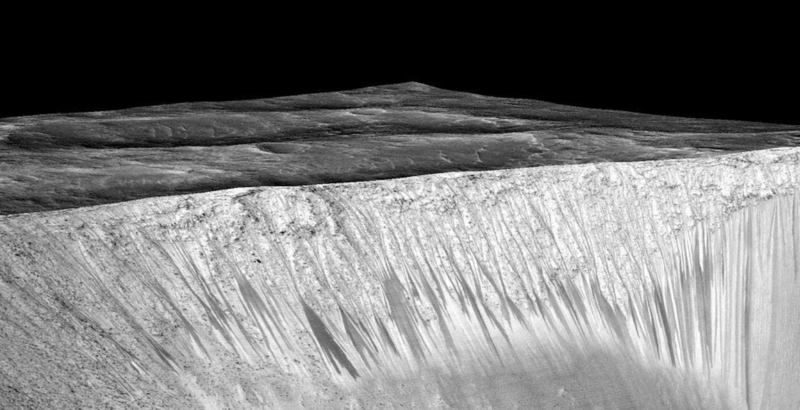 Water In Mars Discovered During NASA Rover Drilling?